Introduction: Colorectal cancer usually arises from polyps. Patients with endoscopically-unresectable polyps frequently undergo hemicolectomy. Selected patients with very proximal benign cecal polyps may be amenable to cecal cap resection with preservation of the ileocecal valve. 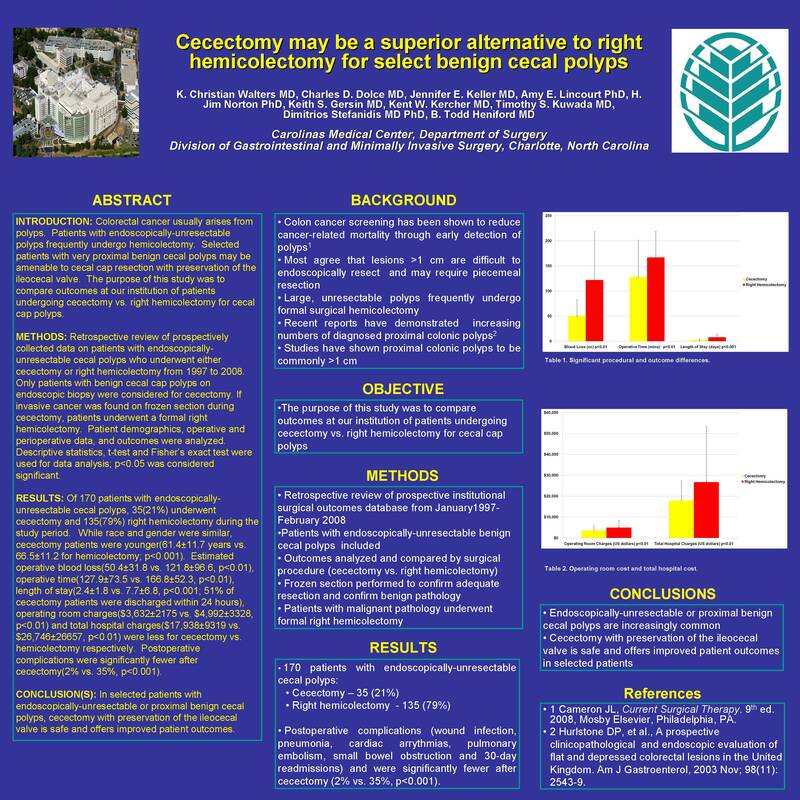 The purpose of this study was to compare outcomes at our institution of patients undergoing cecectomy vs. right hemicolectomy for cecal cap polyps.